ADHD or Attention Deficit Hyperactivity Disorder can affect up to 5% of children, and asthma and allergy are presently estimated to affect at least 10% of UK children. Year on year, the numbers are growing fast. Researchers across the world have also noted a high incidence of asthma in children positively diagnosed with attention deficit disorder. So are the two conditions in any way related? The answers are intriguing. 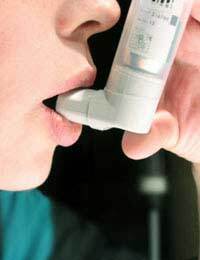 Asthma is effectively an allergic condition in which the airways become over-responsive and 'twitchy'. Exposure to a trigger, such as house dust, pollen or any number of other chemicals can result in an overproduction of histamine and inflammatory chemicals in the airways. Sometimes this histamine response can be produced by simple stress, laughter or exercise. Whatever the trigger, the reaction that is produced causes the airways to become restricted resulting in breathing difficulties and wheezing. So how can asthma and ADHD possibly be related? On April 12 2007 a study was published in the Journal of Developmental and Behavioural Pediatrics which looked at how frequently children with asthma had behavioural or learning problems. The study also sought to find out if problems like ADHD had an effect on the ability of asthmatics to manage their condition. They found that families with asthmatic children reported a far higher incidence of attention deficit disorder. They also found that approximately 10% of asthmatic children had depression, anxiety and other learning disabilities. The more severe the asthma symptoms, the higher the incidence of some sort of behavioural or learning problem. Did this mean that the two conditions were in some way related, and what could the possible explanations be? Earlier studies tend to indicate that the incidence of the two conditions are not related. As such, the researchers concluded that ADHD symptoms should not be dismissed as part of asthma, and that asthma can not be considered to be a consequence of ADHD treatment. So where could the link be? When someone has asthma, it is common for asthma symptoms to become worse at night, creating trouble with sleep and sleeping patterns. New research has shown that a lack of sleep can affect the severity of symptoms of wheezing and breathlessness, and that interrupted sleep will increase the likelihood that an individual will develop symptoms of ADHD. Research presented at this years American College of Chest Physician's Annual Meeting showed that asthmatics suffer significant disturbances to the quality of their sleep, with the effect that they became sleepy in the daytime. As one of the largest studies ever conducted that looked at the effects of asthma on sleep, the results were quite convincing. Most importantly, they found that simple sleep deprivation can cause attention deficit disorder. When individuals who had moderate to severe attention problems were placed on a therapy called CPAP, which provides pressurised oxygen whilst the patient sleeps, an astonishing 60% of them found that their ADHD completely disappeared. When the researchers looked at patients with a condition called sleep apnea, they found evidence of attention deficit disorder even though they had no previous history or evidence of the condition. This research indicates that asthma, sleep and ADHD may be more closely related to each other than is currently recognised, and that sleep deprivation may affect the functioning of the Prefrontal Cortex area of the brain. This is the part of the brain that is under active in people with attention deficit disorder. More research is needed. For now this implies that it is very important for asthma to be properly controlled in a child who is both asthmatic and showing ADHD symptoms, so that sleep is not disturbed. It is known that food intolerance and food allergies can produce hyperactivity in some children. It is possible that this hyperactivity could be misdiagnosed as ADHD on at least some occasions, and it is not beyond the bounds of probability that the food allergies could be partially responsible for asthma in some cases. Where allergies are suspected as a cause of asthmatic symptoms or ADHD, the first step would be to ensure that a child's diet is kept entirely natural and that it excludes all food additives and other known allergens such as nuts or peanuts. If a child has asthmatic symptoms and those of attention deficit disorder, it may be very worthwhile for parents to adopt an entirely natural diet and for parents to take extra measures to ensure that the child's sleep in not disturbed by poorly controlled asthma. These measures alone may produce marked improvements in attention deficit symptoms, in at least some children. Thank You, this information was so helpful. My son has asthma from the age of 1year old, maybe even earlier. He has just be label with ADHD recently. He also has issues most night sleeping. I wish that doctor will do more research into this matter than push on more medications. For all I know ADHD can be a side affect from his asthma medications. I am looking for more natural therapist for my son. I do not want my son to be on medication for the rest of his life.